When the storm clouds gather, only the bravest answer the call. If they can find it in time. The search will take them deep into enemy territory where their only hope for survival is the resourcefulness of their small but feisty crew. As they race to find the weapon, a mysterious group of Storm Callers threatens to take over the seas and pave the wave for a whole new breed of Storm Raiders. 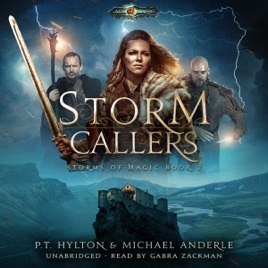 Set on the foundation laid by the Kurtherian Gambit Series, Storm Callers tells an entirely new story in the Age of Magic - and of the heroes and villains who battle for control of its destiny.